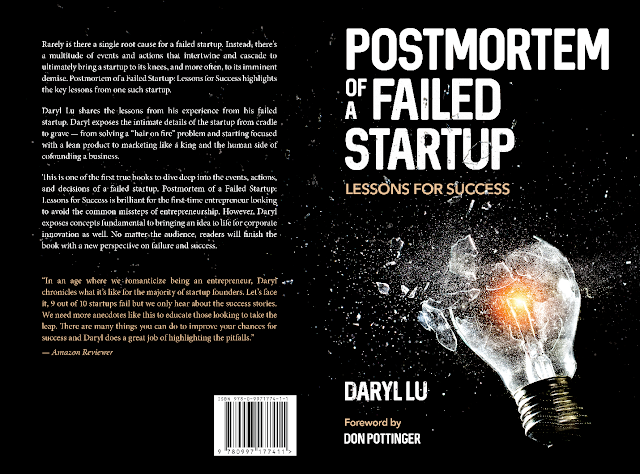 Postmortem of a Failed Startup – Now in Paperback! Today’s post… a plug for my book – Postmortem of a Failed Startup: Lessons for Success – is now in hardcopy! You can pick up the paperback on Amazon for $13.99 (or ebook for $5.99). I want to start using the book to teach other entrepreneurs before meeting with me. One of the reasons why I wrote the book was because of how often entrepreneurs shared challenges described in the book. 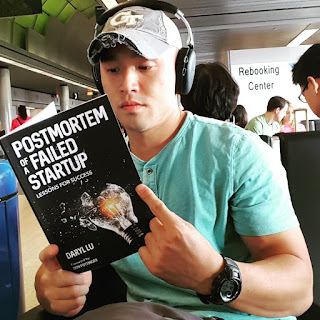 If you’re looking to get your venture off the ground, your idea out of your head, or have a startup in-flight looking to grow, get the book on Amazon. http://www.daryllu.com/wp-content/uploads/2018/10/entrepreneurial-ninja_logo_sm.png 0 0 Daryl Lu http://www.daryllu.com/wp-content/uploads/2018/10/entrepreneurial-ninja_logo_sm.png Daryl Lu2016-08-30 17:33:002016-08-30 17:33:00Postmortem of a Failed Startup – Now in Paperback!